This paper presents original research carried out by the authors that identifies instance of another update, long before 580 CE, added to the text of Sūrya-siddhānta. The claim is tested using multiple evidence from the Sūrya-siddhānta text by employing sophisticated data of modern astronomy. Indian astronomy is original in its conception and is ancient. Indian astronomy book such as Sūrya-siddhānta is well known, most referred and most esteemed. While no one knows for sure how old Sūrya-siddhānta is, opinions abound. The popular view for the timing of Sūrya-siddhānta, range from 6th century BCE to 8th century CE. This is consistent with the latest event of Sūrya-siddhānta update of about 580 CE. 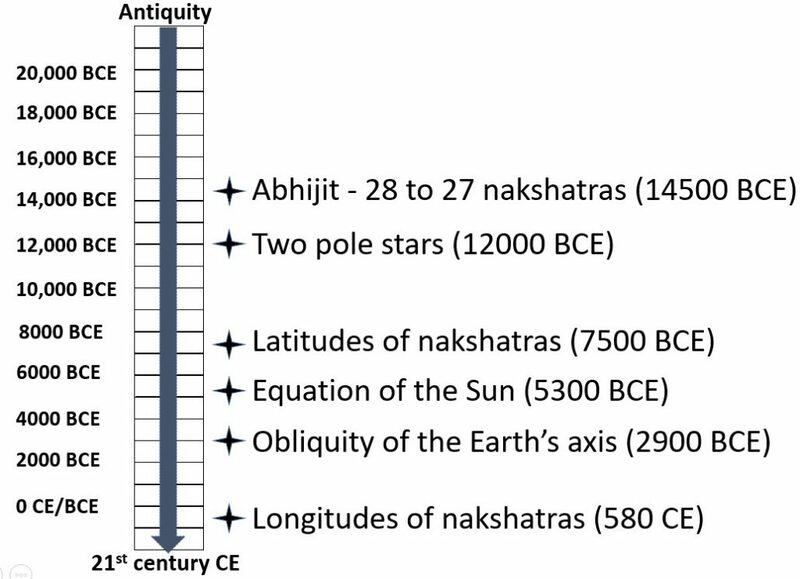 While the longitude data for the Nakṣatra is consistent with this update around 580 CE, there are numerous other measurements and descriptions of Nakṣatra, Sun, Obliquity or Star positions that cannot be reconciled for 580 CE. We wondered if there were additional instances of updates preserved in the text of Sūrya-siddhānta and if it was at all possible to decipher them with the help of modern astronomy. This paper presents original research carried out by the authors that identifies instance of another update, long before 580 CE, added to the text of Sūrya-siddhānta. The claim is to be tested using multiple evidence from the Sūrya-siddhānta text by employing sophisticated data of modern astronomy. And while this update is fascinating because of its empirically verifiable nature and due to its sheer antiquity, it is not the only update besides the update of 580 CE. We will share multiple updates validated by other researchers and point out few sections of Sūrya-siddhānta that we think are pregnant with evidence of additional updates. We discuss broader consequences of these findings. Indian astronomy is original in its conception and is ancient. Indian astronomy book such as Sūrya-siddhānta is well known, most referred and most esteemed. The details of Sūrya-siddhānta are narrated in a poetic form, not unlike numerous ancient Indian narratives, in the Sanskrit language. It has 14 chapters and 500 verses and covers cosmology, planetary motions, eclipses, conjunctions, star positions, risings/settings, mathematics, geography, instrumentation and model-making. Sūrya-siddhānta is not a conventional textbook in the sense that it is too succinct and somewhat cryptic for a rank beginner. It is meant as a concise aid to instruction. While no one knows for sure how old Sūrya-siddhānta is, opinions abound. The timing of SS, estimated by these opinion makers, range from 6th century BCE to 8th century CE. There are several indications in the text of SS that provide us with the clues that it has undergone several updates and modifications. This is a clue to the ancient nature of the text. In fact, the evidence for the updates is provided in the text itself. (This is the very same original text that the Sun promulgated. Only, due to the revolution of the Ages, the differences of time are detected). The revolution of the Ages is in reference to the underlying phenomenon of the precession of the Earth’s axis. On the other hand, the text is emphatic on the point that the fundamentals of the text itself has been relatively untouched. Some of the Sūrya-siddhānta script contains Bijopanayanādhyāya after Maānādhyaya at the end of Sūrya-siddhānta which also suggests similar imagery and shows that Māyāsur had authority to do changes in text to reconcile between change of time and imagery. Let’s begin with the latest update to Sūrya-siddhānta that can be easily detected. (The cycle that ends with nakṣatra Revati is called ‘Bhagana’). SS 12:45 states; In the half revolution beginning with Aries, the sun being in northern hemisphere of the Deva-gods, is visible to gods : but while in that beginning with Libra, he is visible to Asura-demons, moving in their hemisphere. (Vernal equinox begins just before Aries & Autumnal equinox begins just before Libra). Vernal equinox is considered the point of zero celestial longitude in Indian astronomy. 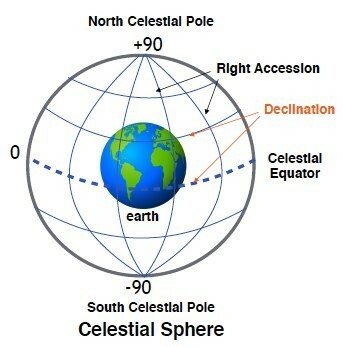 The celestial longitudes can also be described as ‘Right ascension’, while the celestial latitude can be described as ‘Declination’. See fig 1. Narayanan (2010) compared longitudinal values from SS for various nakṣatra with current values (i.e. 2000 CE) and showed that the last longitudinal update occurred in about 580 CE. 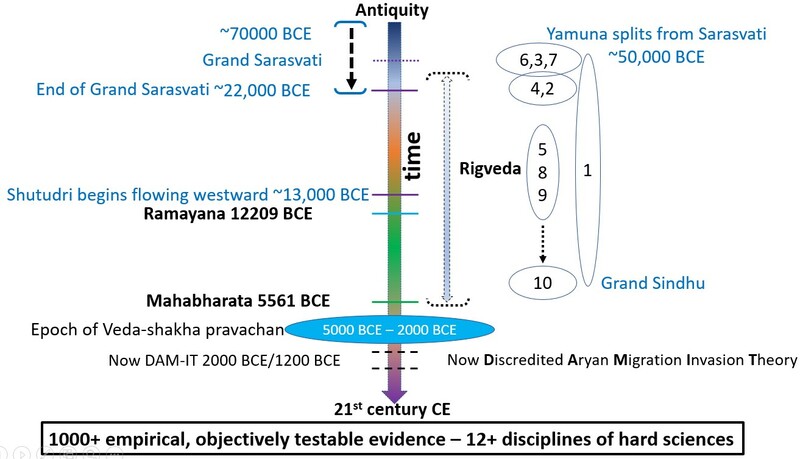 Narayanan showed, with decisive evidence, that this longitudinal update was not done using actual observational date but simply by adding a fixed increment to all nakṣatra longitudes. While we were researching on Ancient Indian narratives of Agastya (Canopus) and Valmiki Ramayana, we came across this interesting reference from Sūrya-siddhānta. This is a fascinating reference/evidence. In our times (last 2000 years), Polaris is the North pole star and there is no distinct visible pole star near SCP. The Earth’s axis points to the space in the sky in the northern hemisphere (NCP) that is close to the position of Polaris, in our times. There is no distinct visible star near the point of SCP, in our times. The Earth’s axis rotates through a complete circle in about 26,000 years (precession of equinoxes or precession of the Earth’s axis) and this means as it rotates, it would point to different areas of the sky through this 26,000-year period. If a distinct visible star is close to the point of either NCP or SCP, then it would be designated as either North pole star or South pole star, respectively. See fig 3. Naturally, this reference of Sūrya-siddhānta pointed to a time interval beyond last 2000 years. We explored for recent and/or distinct combinations for the timing, going back in antiquity, when two distinct stars, one each near NCP & SCP, were present. We found multiple combinations. Two specific illustrations are shown in Figure 3. In the year 2000 CE, Polaris is the North pole star however there is no distinct visible star near SCP. In the year 2900 BCE, Thuban was the North pole star and Alpha Hydri or Alpha Eridani was the South pole star. In the year 12000 BCE, Vega (Brahmarashi or Abhijit in Indian astronomy) was the North pole star and Canopus (Agastya in Indian astronomy) was the South pole star. Many such pairs can be identified. This demands additional evidence to distinguish among these pairs to ascertain the event Sūrya-siddhānta would be referring to. 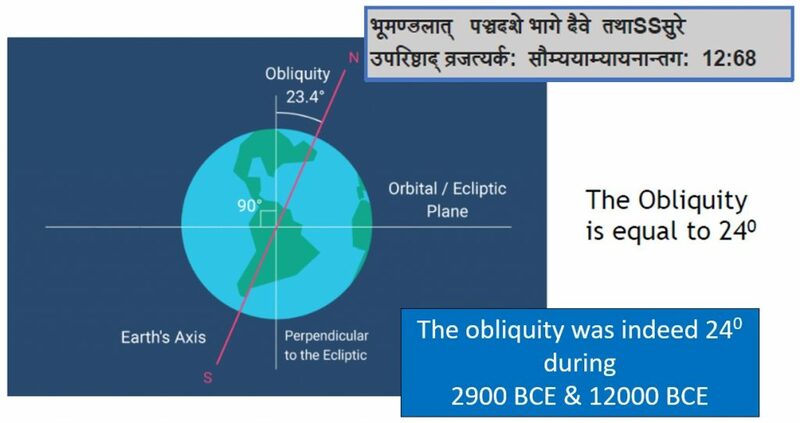 When we compared the obliquity of the Earth’s axis for years 2900 BCE and 12000 BCE, with the hope to distinguish between the two pairs in the context of the value of obliquity reported in the Sūrya-siddhānta, to our dismay, we realized that the Earth’s obliquity was indeed 240 in the year 2900 BCE and 12000 BCE! We had to look elsewhere, i.e. 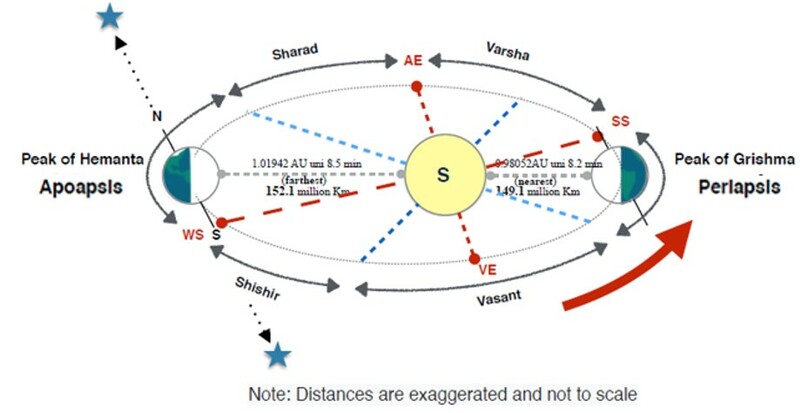 additional evidence, to define the timing for Sūrya-siddhānta reference of two pole stars. An ‘apsis’ is an extreme point in the orbit of an object. The barycenter is the center of mass of two or more bodies that orbit each other and is the point about which the bodies orbit. The barycenter is an important concept in astronomy. For an orbit around any barycenter, the terms periapsis and apoapsis are used. Since the mass of the Sun is a lot more that the Earth, the barycenter between the Earth and the Sun is very close to the sun and thus for all practical purposes we will assume the Sun itself to be the barycenter. 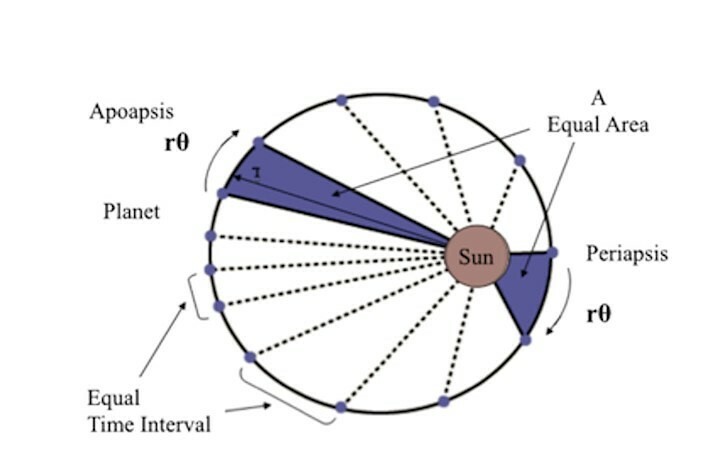 In our times, the points of apoapsis and periapsis between the Earth and the Sun are shown in Fig. 5. Do notice that we have approximated the cardinal points (solstices and equinoxes) to the 21st day of the appropriate months. Another important point to note is that the seasons are caused by the angle of Earth’s inclination towards the Sun and that the positions of periapsis or apoapsis have no to very little effect on the seasons, but it has impact on the visualization of passing of “time”. At periapsis amount of time taken by earth to move in one month appears faster than that of alongside of apoapsis. (The sun is the closest to the Earth during Grishma which causes Sun’s rapidness when in Deva Bhaga i.e, Northern Hemisphere but farthest from the Earth during Hemanta which causes Sun’s slowness otherwise). 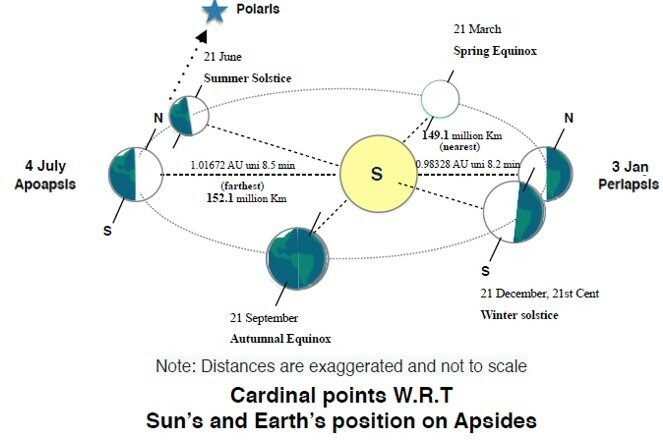 Apsidal position of Earth w.r.t sun is almost opposite of today’s time in comparison to what is stated in 12:46. In SS sun is swapped with the position of earth. From earth, sun would appear passing through periapsis and apoapsis on an imaginary orbit in a relative sense. Its apogee and mean distances are greatly discussed in eclipse section of SS’s Chapter. Speed of grahas (graha; seizing of astro objects) planets are discussed in Chapter of SS 2;12,13. Shri Shrivastava, in his vigyān bhāshya of Sūrya-siddhānta writes that if earth is taken as geocentric object then these retrograde motions will remain unexplained. Since, in actual condition, all the planets are revolving around sun from west to east on their orbits, therefore, until earth also is not moving these different retrograde motions may then remain unexplained. Sun and earth are in relatively swapped positions thus do not experience any retrograde motion. But earth also being on elliptical orbit like other planets does show various directional speed (manda,shiighra) as mentioned. In effect, if we have to combine various references from the 12th chapter of Sūrya-siddhānta, in our quest to determine the timing of ‘two pole stars’ reference of SS, we are essentially looking for a scenario when there are two distinct pole stars, one each near NCP and SCP and the point of ‘apoapsis’ is close to the midpoint of Hemanta Ritu (autumn) and the point of ‘periapsis’ is close to the midpoint of Grishma Ritu (summer). And if we can indeed match the obliquity of the Earth’s axis to be equal to 240, then it would indeed be a bonus! This prediction of a plausible scenario turned out to be our moment of ‘Eureka’! The two necessary conditions (two pole stars and points of apoapsis/periapsis during Hemanta/Grishma, respectively) and the optional yet desired third condition of the Earth’s obliquity (equal to 240) are all satisfied by the year 12000 BCE! 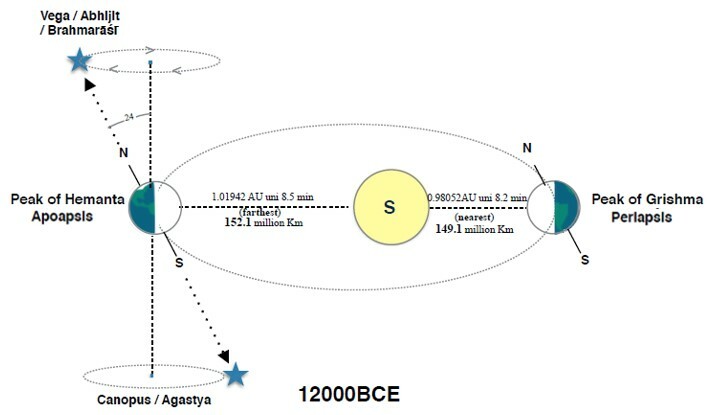 In the year 12000 BCE, Vega (Brahmarashi or Abhijit) was the North pole star and Canopus (Agastya) was the South pole star. See fig.7. The Earth’s obliquity was at 240. 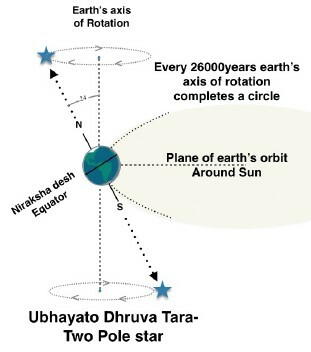 There is a direct evidence of placing Abhijit and Agastya in north of Northern and south of Southern hemisphere respectively as NCP and SCP from the armillary section in Chapter 13:8, 9 of Sūrya-siddhānta. This comes as one more evidence of Abhijit and Agastya to be in extreme north and south. Narayanan (2011) showed that for determining the Sun’s longitude, the pulsating Indian epicycle is far more accurate than the Greek eccentric-epicycle model and that the pulsating Indian epicycle for the Sun becomes progressively more accurate as one goes back in time. Peak accuracy, of about 1 minute of arc, is reached around 5200 BCE. 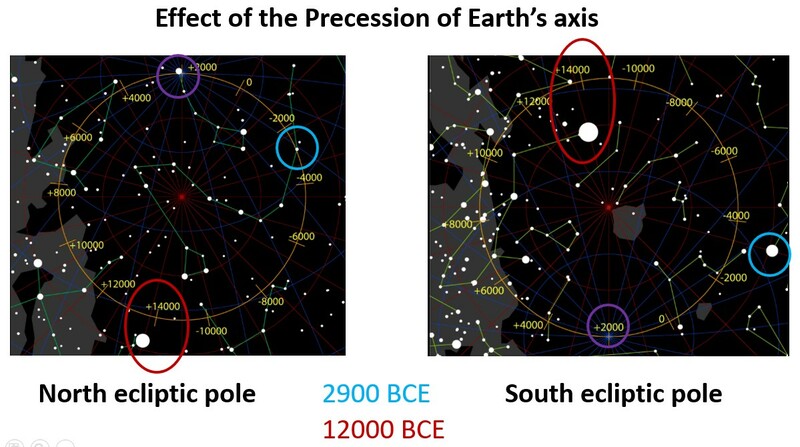 This led him to the timing of 5000-5500 BCE when the current values of the Sūrya-siddhānta’s pulsating epicycle parameters for the Sun appear to have been set. Sūrya-siddhānta does indicate another instance of update when nakṣatra Abhijit (Vega or Brahmarashi) was removed from the list of functional nakṣatra, reducing the number of nakṣatra from 28 to 27. Oak (2011) demonstrated that the 8 distinct requirements for an astronomy phenomenon, described in the epic Mahabharata refers to this very removal of nakṣatra Abhijit from the list of nakṣatra and the only timing that corroborates all 8 requirements is that of ~14500 BCE. The fact star Vega (Brahmarshi or Abhijit) was a pole star during 12000 BCE is recorded in the epic Valmiki Ramayana. In fact, this reference was one of the four pivotal references that led Oak (2014) to define 12209 BCE as the year of Rama-Ravana yuddha. What this demonstrates is that the astronomy text of Sūrya-siddhānta and its updates were not taking place in isolation but were very much part of the integrated tradition of Indic civilization. Oak (2018) has demonstrated that unique features of astronomy epochs were employed to time stamp historical events. This is further validated by works of Bhaty (2017, 2018) where she demonstrated that Indic tradition employed creative devices of architecture, sculptures, dance and metaphors to preserve these instances of updates. The subject is very interesting with far reaching consequences however it is beyond the purview of this paper.